On 29 January, a working meeting between Alexey Miller, Chairman of the Gazprom Management Committee, and Andrey Komarov, Chairman of the Board of Directors of ChelPipe, took place in St. Petersburg. 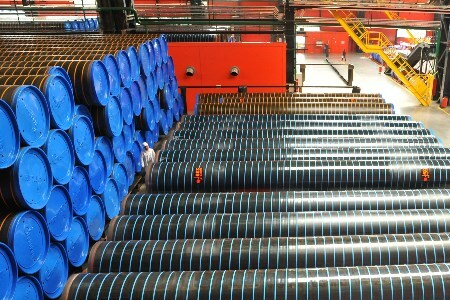 The parties reviewed issues related to the supplies of pipes produced by ChelPipe to the facilities of Gazprom. Attention was also paid to the prospects for manufacturing such innovative products as laser welded pipes and joints. In October 2016, Gazprom and ChelPipe signed the roadmap to set up the production of new-generation pipes. Pursuant to the document, ChelPipe will develop technologies for Gazprom’s needs to produce longitudinally welded large diameter pipes from conventional as well as high strength ?80–?120 steel and pipeline fittings, using laser welding. This method in the large diameter pipe series production will be applied for the first time in the global practice.